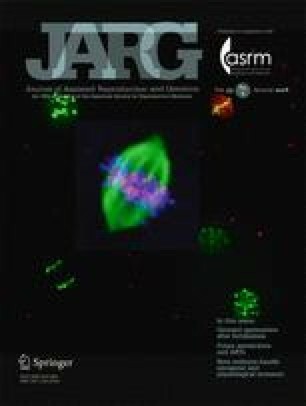 Here we examine recent evidence suggesting that many drugs and diet supplements (DS), experimental AMP-activated protein kinase (AMPK) agonists as well as energy-depleting stress, lead to decreases in anabolism, growth or proliferation, and potency of cultured oocytes, embryos, and stem cells in an AMPK-dependent manner. Surprising data for DS and drugs that have some activity as AMPK agonists in in vitro experiments show possible toxicity. This needs to be balanced against a preponderance of evidence in vivo that these drugs and DS are beneficial for reproduction. We here discuss and analyze data that leads to two possible conclusions: First, although DS and drugs that have some of their therapeutic mechanisms mediated by AMPK activity associated with low ATP levels, some of the associated health problems in vivo and in vitro fertilization/assisted reproductive technologies (IVF/ART) may be better-treated by increasing ATP production using CoQ10 (Ben-Meir et al., Aging Cell 14:887–895, 2015). This enables high developmental trajectories simultaneous with solving stress by energy-requiring responses. In IVF/ART, it is ultimately best to maintain handling and culture of gametes and embryos in the quietest state with low metabolic activity (Leese et al., Mol Hum Reprod 14:667–672, 2008; Leese, Bioessays 24 (9):845–849, 2002) using back-to-nature or simplex algorithms to identify optima (Biggers, Reprod Biomed Online 4 Suppl 1:30–38, 2002). Stress markers, such as checkpoint proteins like TRP53 (aka p53) (Ganeshan et al., Exp Cell Res 358:227–233, 2017); Ganeshan et al., Biol Reprod 83:958–964, 2010) and a small set of kinases from the protein kinome that mediate enzymatic stress responses, can also be used to define optima. But, some gametes or embryos may have been stressed in vivo prior to IVF/ART or IVF/ART optimized for one outcome may be suboptimal for another. Increasing nutrition or adding CoQ10 to increase ATP production (Yang et al., Stem Cell Rev 13:454–464, 2017), managing stress enzyme levels with inhibitors (Xie et al., Mol Hum Reprod 12:217–224, 2006), or adding growth factors such as GM-CSF (Robertson et al., J Reprod Immunol 125:80–88, 2018); Chin et al., Hum Reprod 24:2997–3009, 2009) may increase survival and health of cultured embryos during different stress exposure contexts (Puscheck et al., Adv Exp Med Biol 843:77–128, 2015). We define “stress” as negative stimuli which decrease normal magnitude and speed of development, and these can be stress hormones, reactive oxygen species, inflammatory cytokines, or physical stimuli such as hypoxia. AMPK is normally activated by high AMP, commensurate with low ATP, but it was recently shown that if glucose is present inside the cell, AMPK activation by low ATP/high AMP is suppressed (Zhang et al., Nature 548:112–116, 2017). As we discuss in more detail below, this may also lead to greater AMPK agonist toxicity observed in two-cell embryos that do not import glucose. Stress in embryos and stem cells increases AMPK in large stimulation indexes but also direness indexes; the fastest AMPK activation occurs when stem cells are shifted from optimal oxygen to lower or high levels (Yang et al., J Reprod Dev 63:87–94, 2017). CoQ10 use may be better than risking AMPK-dependent metabolic and developmental toxicity when ATP is depleted and AMPK activated. Second, the use of AMPK agonists, DS, and drugs may best be rationalized when insulin resistance or obesity leads to aberrant hyperglycemia and hypertriglyceridemia, and obesity that negatively affect fertility. Under these conditions, beneficial effects of AMPK on increasing triglyceride and fatty acid and glucose uptake are important, as long as AMPK agonist exposures are not too high or do not occur during developmental windows of sensitivity. During these windows of sensitivity suppression of anabolism, proliferation, and stemness/potency due to AMPK activity, or overexposure may stunt or kill embryos or cause deleterious epigenetic changes. We thank Dr. Todd Leff, Dr. Sudipta Dutta, and Dr. Gloria Perez for comments on the manuscript. This study received funding from DAR and EEP from the Office of the Vice President for Research at Wayne State University and an R03 to DAR 1R03HD061431 and an R41 to DAR 1R41ES028991-01 from the REI fellows’ fund (AB) and from the funding of the Mary Iacobell and Kamran Moghissi Endowed Chairs.